As a baby, 13-year-old Tilly Lockey contracted a deadly form of meningitis called meningococcal septicaemia, and had to undergo an operation to have both her hands amputated. Tilly is now thirteen, and is the proud owner of two super stylish Hero Arms. 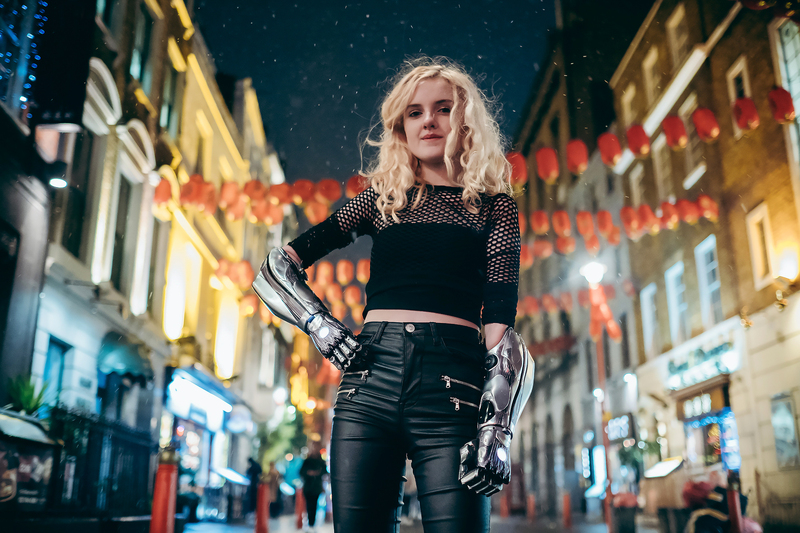 Tilly recently received a pair of badass Alita: Battle Angel bionic arms from director James Cameron, and in 2018 she appeared on ITV’s ‘This Time Next Year’ with Davina McCall. “I love the Hero Arm!” says Tilly. “It’s so much fun to use and I’m finding out new things I can do with it everyday.” This is her story, told in her own words. Dan was born without a right arm, but this never stopped him giving everything a try. 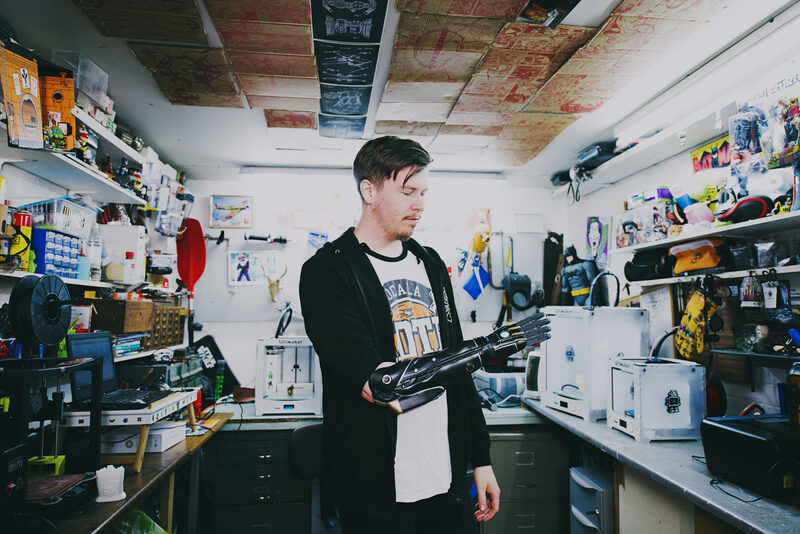 “When I was younger I used to wear a lot of prosthetics that didn’t really do anything other than make me feel negative about myself,” says Dan. “I never thought in my lifetime that I would ever be able to wear something like the Hero Arm. 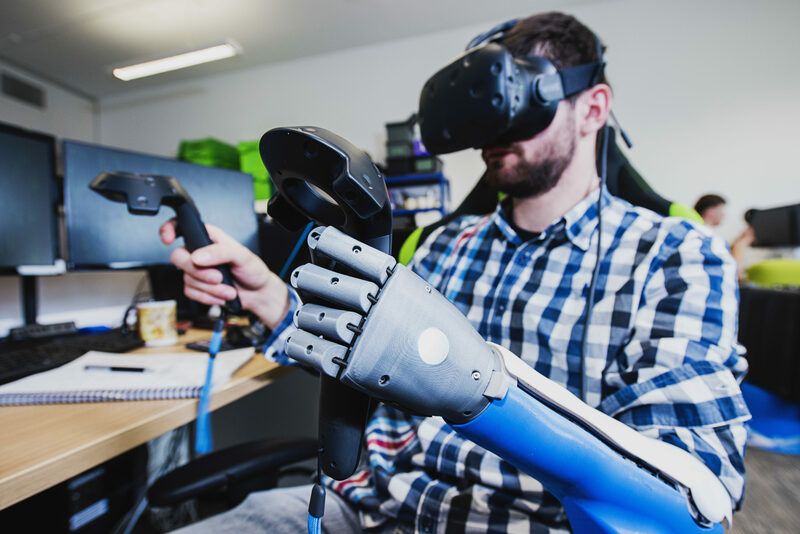 As a kid this was only a dream but now it’s reality it’s mind-blowing.” Dan has been part of the Open Bionics journey since 2014, demo-ing the arm all around the world. This is Dan’s story, told in his own words. Kate is a TV presenter and former Paralympic swimmer. She lost her left hand in a farming machinery accident when she was 2 years old, but this never held her back. She embraced her uniqueness and competed against the world’s best, but now she wants to enhance her life with a bionic arm. “The Hero Arm is all about embracing each individual’s unique style and personality,” says Kate. “When I wear my Hero Arm I feel empowered and proud to show it off.” This is Kate’s story, told in her own words. 12-year-old Raimi lost her right hand to Amniotic Band Syndrome. Given an option of termination or being gifted with a differently abled child, without hesitation her parents chose the latter. Throughout her life, Raimi’s prosthestic arms had very little functionality, and were used to boost her confidence more than anything else. Raimi says the Hero Arm makes her feel unique and she loves the attention it gets from inquisitive people. It’s no longer negative attitudes about her limb difference but genuine interest and amazement, sometimes even jealousy. The functionality is fantastic and just being able to gesture to people with either hand is a joyful experience that just makes her giggle. In February 2018, Kim Smith had all four of her limbs amputated after contracting sepsis. Kim spent 9 weeks in intensive care, and at one point she was given only six hours to live. But she fought sepsis and won. Now she’s determined to win back her independence. 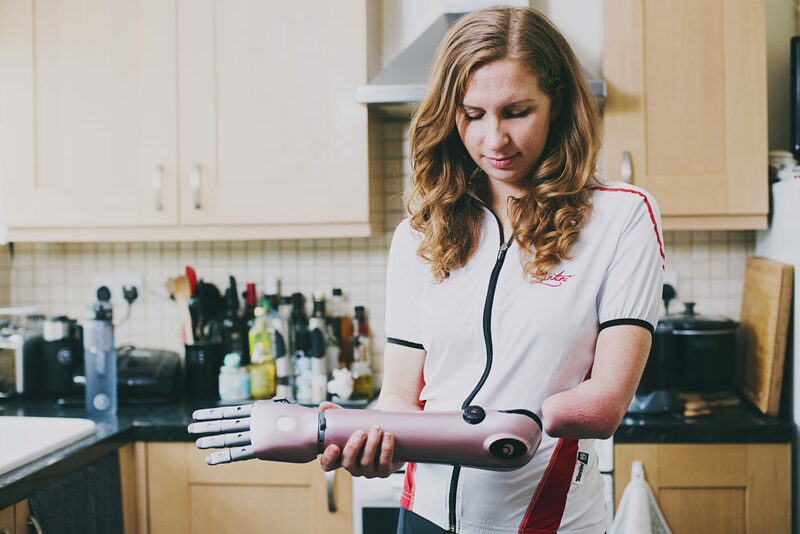 Her daughter set up a crowdfunding campaign to raise money for a bionic arm, and in August 2018, we fitted her with a right Hero Arm. Now she’s fundraising for a left-handed Hero Arm. 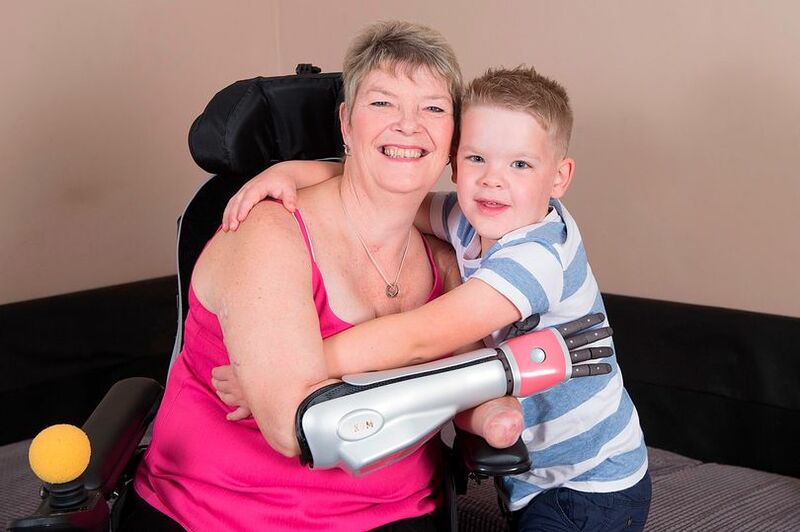 Kim absolutely loves her Hero Arm and told us “its changed my life”. Meet Oxandre, the very first person in France to receive a 3D-printed multi-grip bionic Hero Arm. 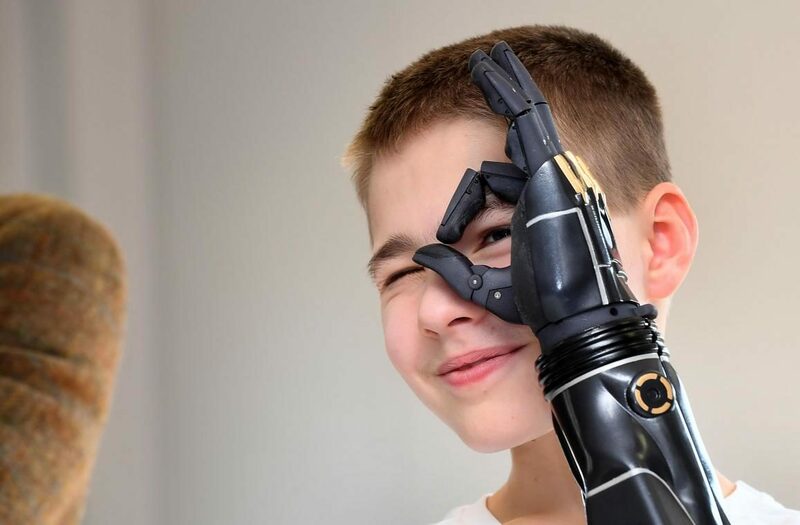 The 12-year-old from Ecques in France was born without a left hand and has worn various prostheses since the age of three, but found them lacking in functionality. In February 2019, we teamed up with Dupont Orthapadie in Dunkirk to fit Oxandre with a Hero Arm. 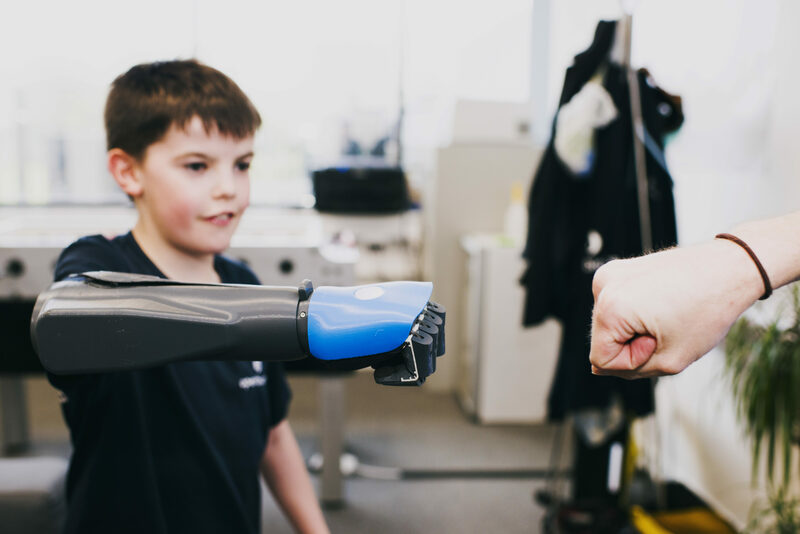 The Hero Arm is a 3D-printed multi-grip bionic arm, medically certified and supported by French health insurance.